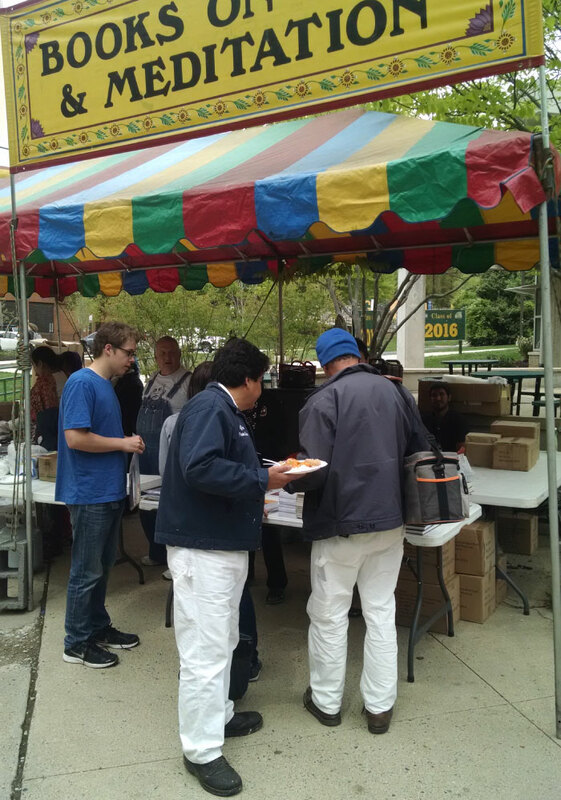 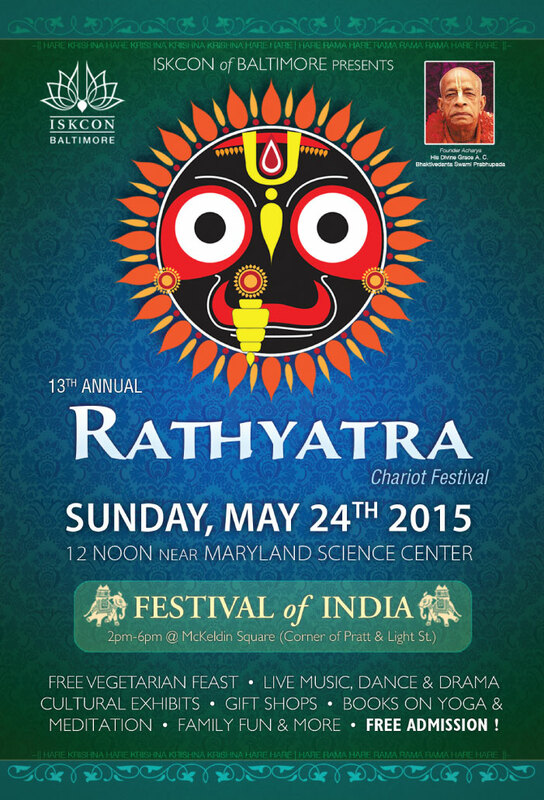 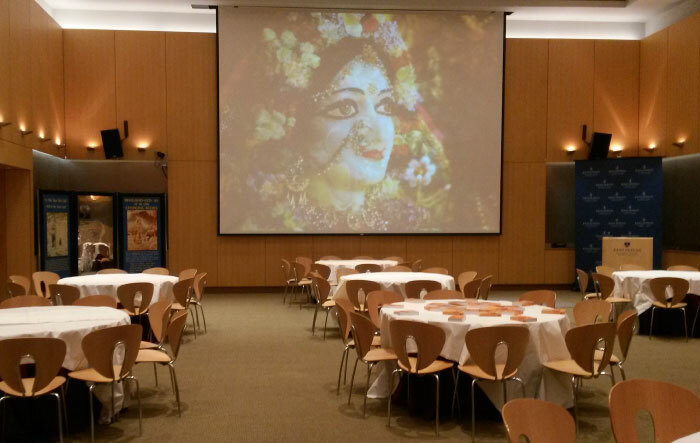 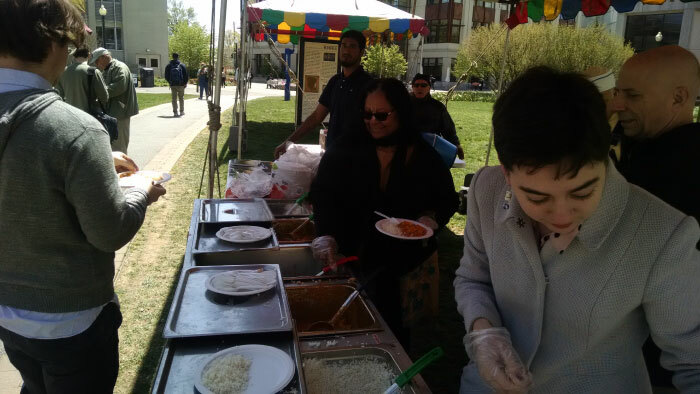 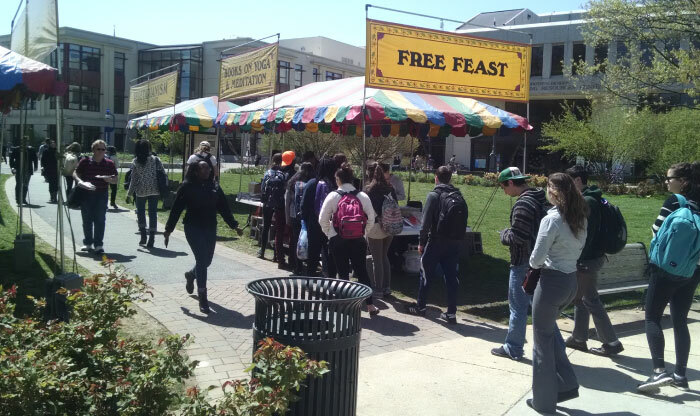 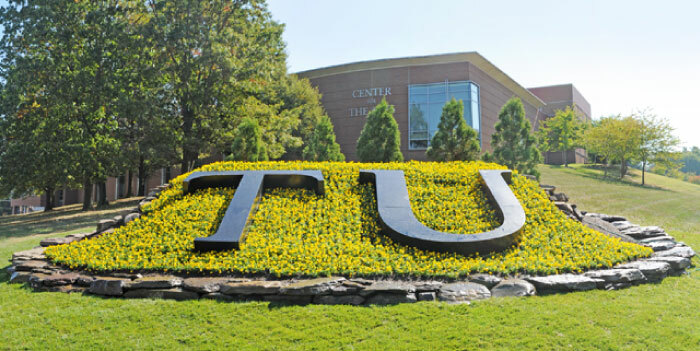 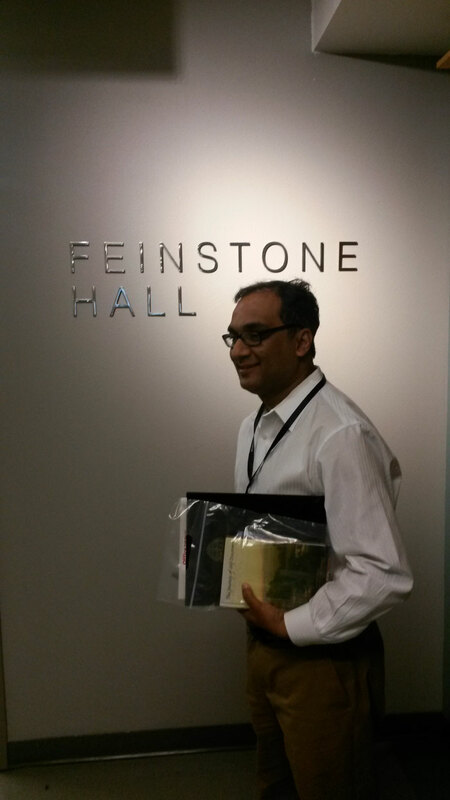 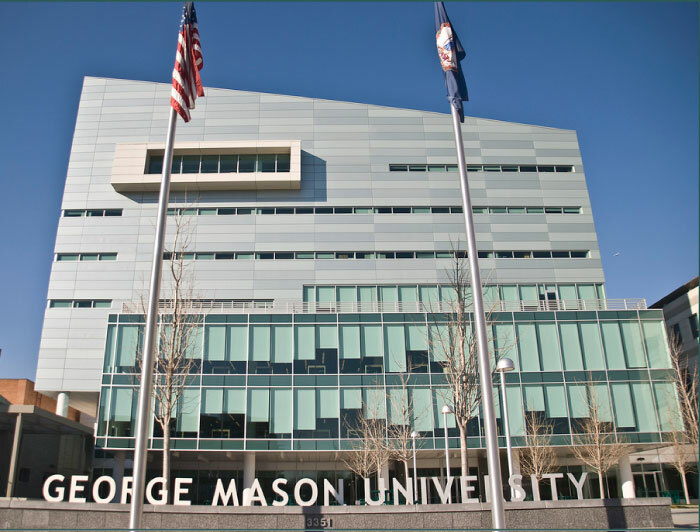 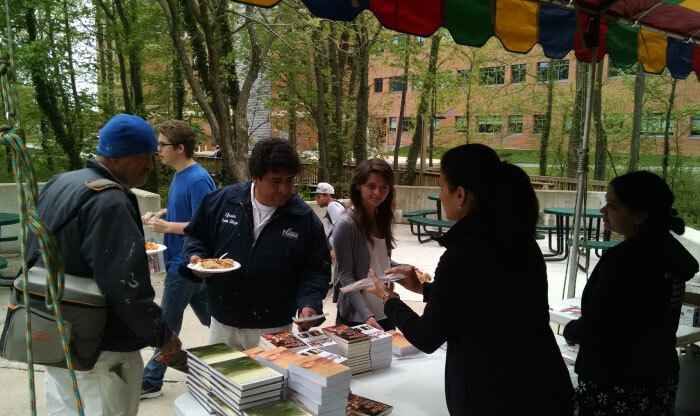 On Tuesday May 5th, Festival of India visited Johns Hopkins School of Medicine. 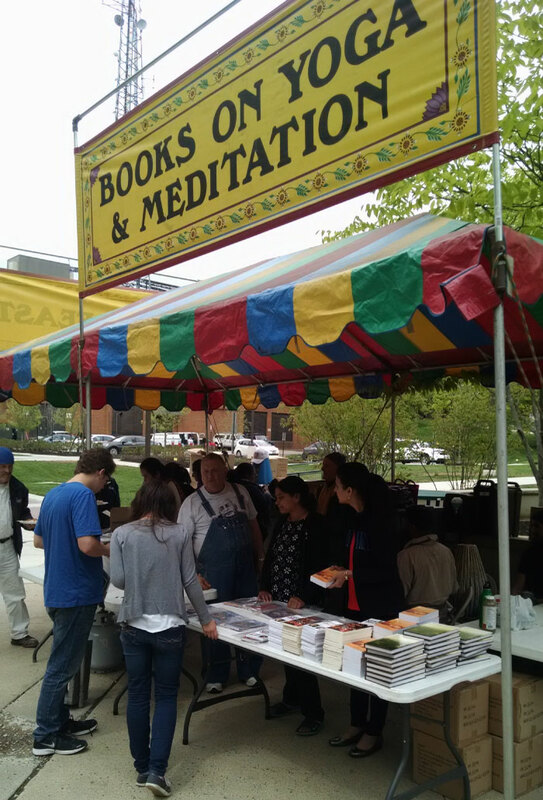 Above is a professor, after enjoying his prasadam, he's happy and walking out of the hall with a Transcendental Meditation Kit (includng Srila Prabhupada's books) in his left hand. 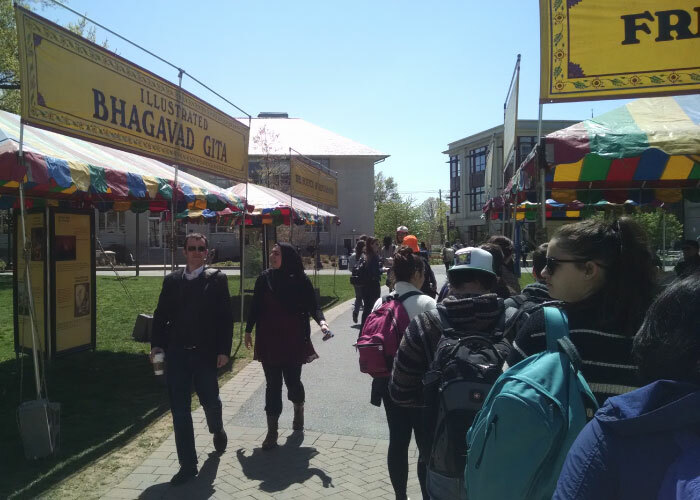 5:45 am on Friday April 24, Festival of India rolled into the American University Campus in Washington D.C.
Parts of the Illustrated Bhagavad-gita exhibit, as well as parts of the Vegetarianism & Reincarnation exhibits were also set up on the AU campus. 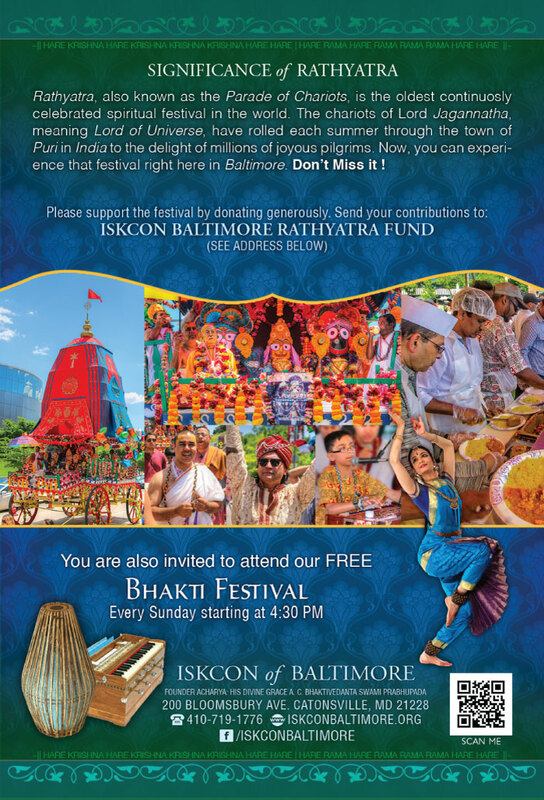 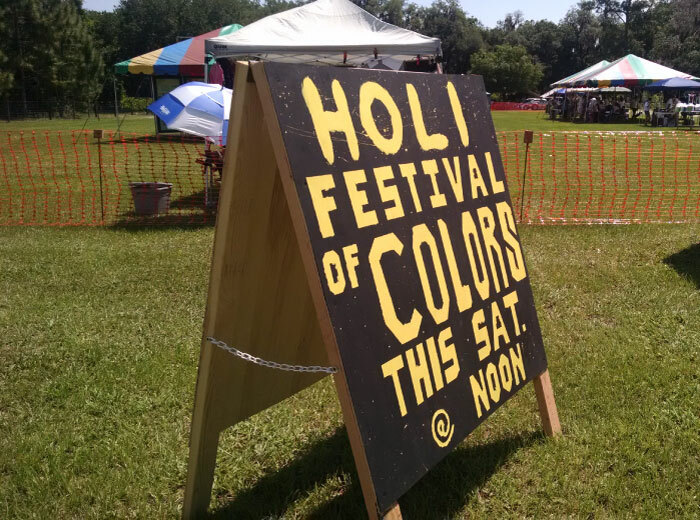 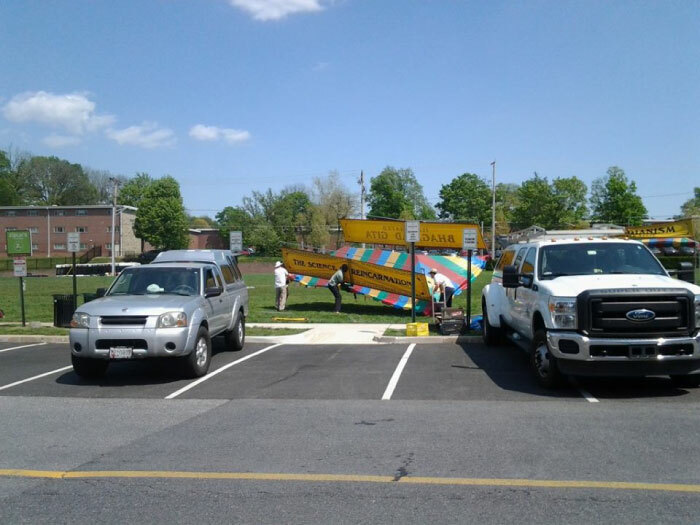 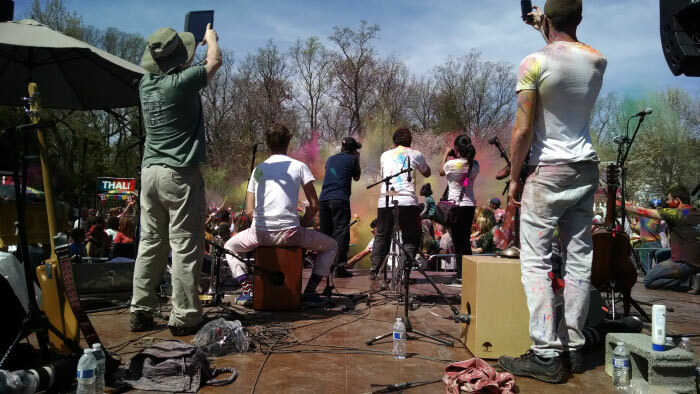 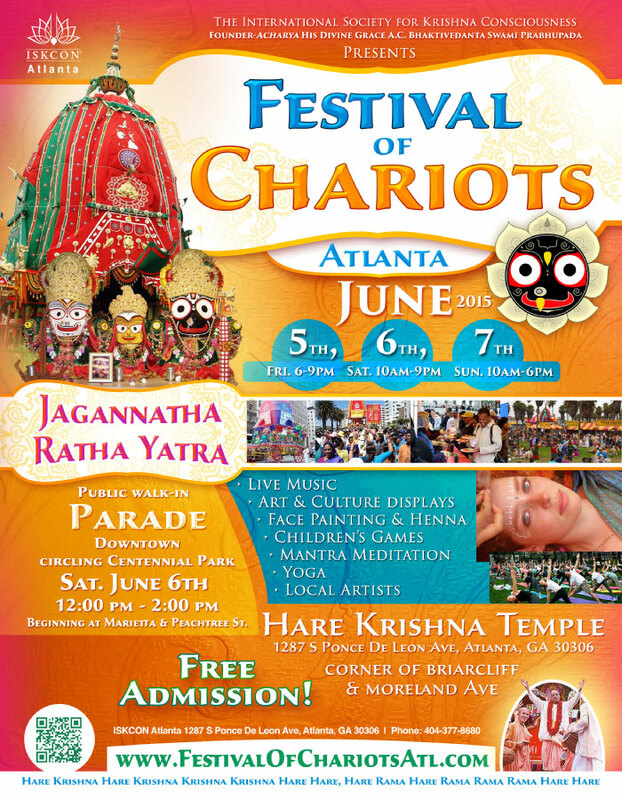 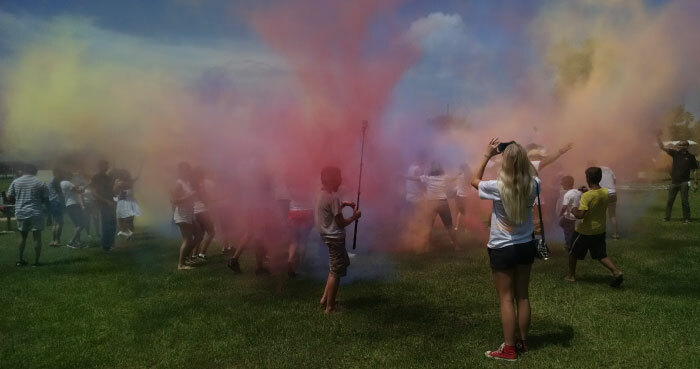 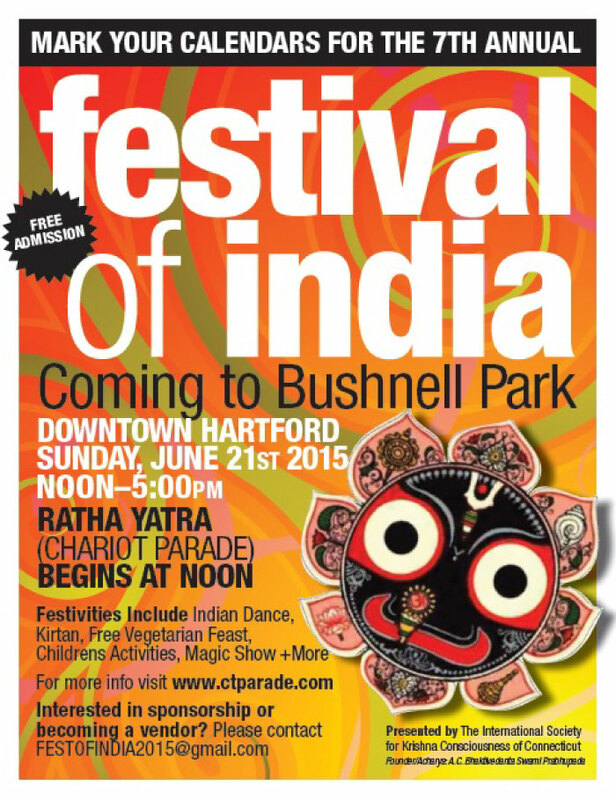 On April 18 Festival of India set up at the ISKCON Temple for the first-ever Holi Festival @ ISKCON Orlando's campus. 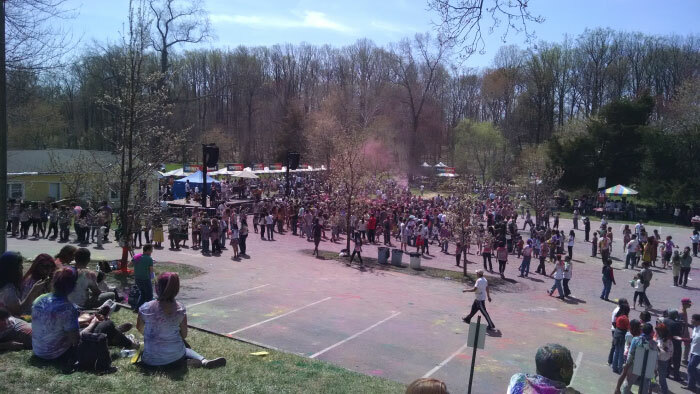 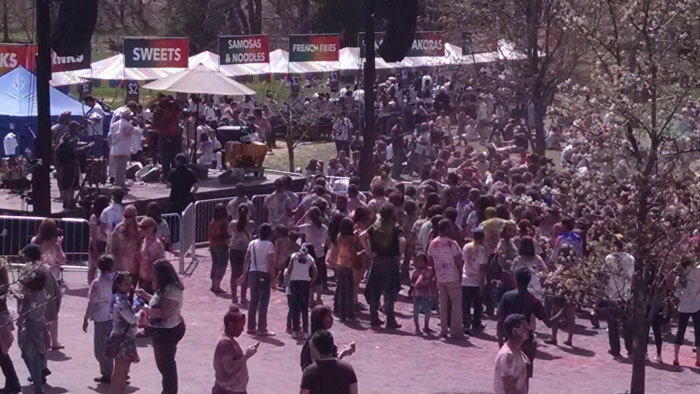 The Festival attracted more than 500 people, many of whom were university students. 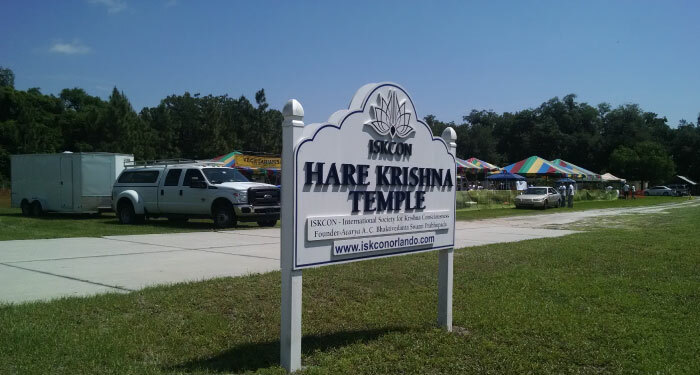 The Orlando ISKCON center, right on Rouse Road, has thousands of cars driving by every day so the above sign was instrumental in bringing the students and other local residents to the festival. 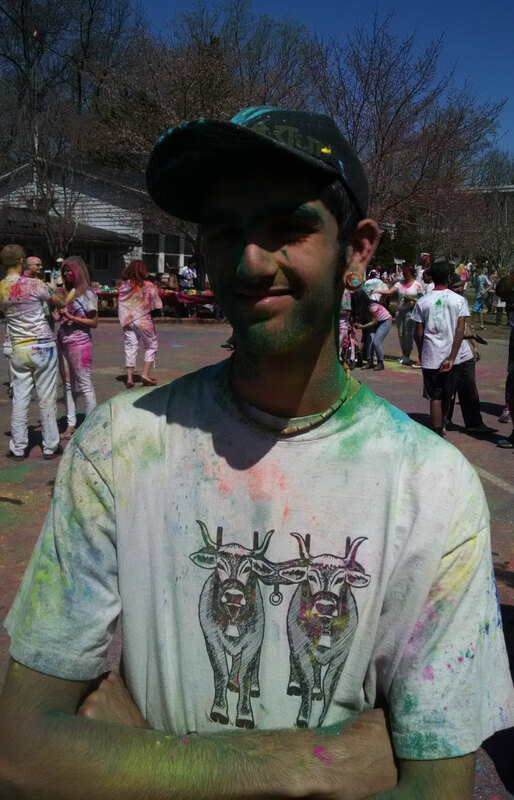 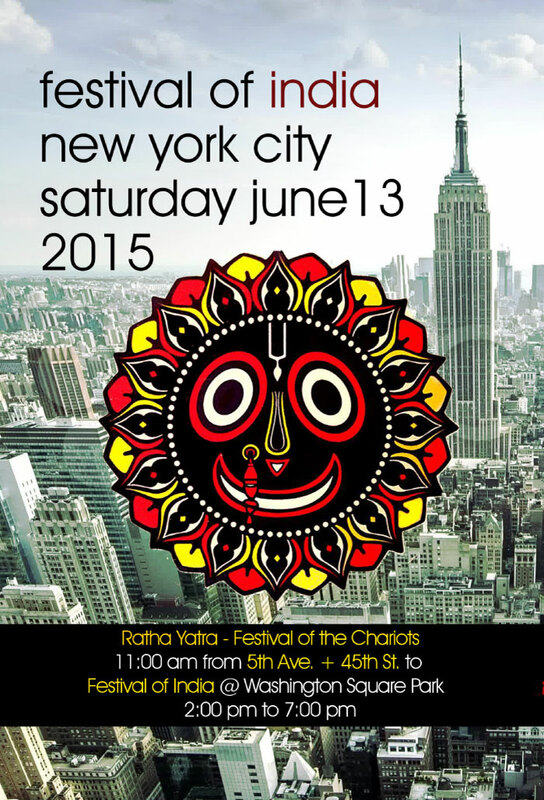 Vishvambar from Prabhupada Village, set up the festival--colored and tired. 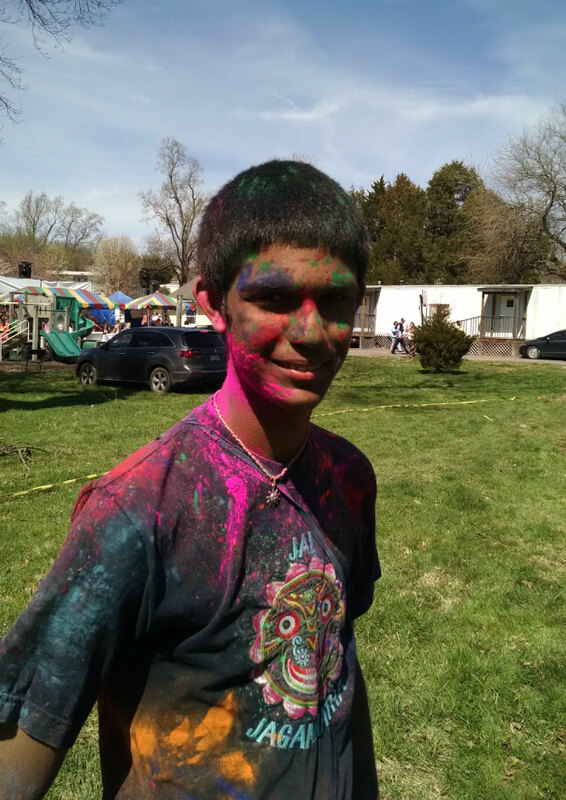 Nimai from Prabhupada Village, helped Vishvambar with the setup.